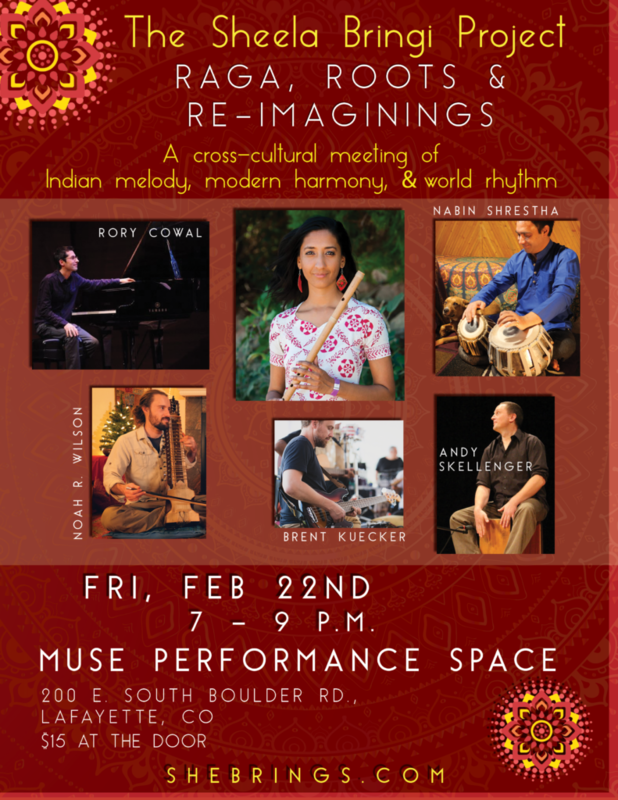 An evening of rare and beautiful artistry featuring Indian, jazz and world musicians at the NEW Muse Performance Space in Lafayette (near the intersection of South Boulder Rd. & Hwy 287)! Indian classical, light classical, and folk songs reimagined for harp and Indian vocals, with dilruba, harmonium, bass, tabla and cajon. Also featuring the bansuri (Indian bamboo flute) in two ways: traditional raga with hammered dulcimer, and in a modern setting with jazz piano.